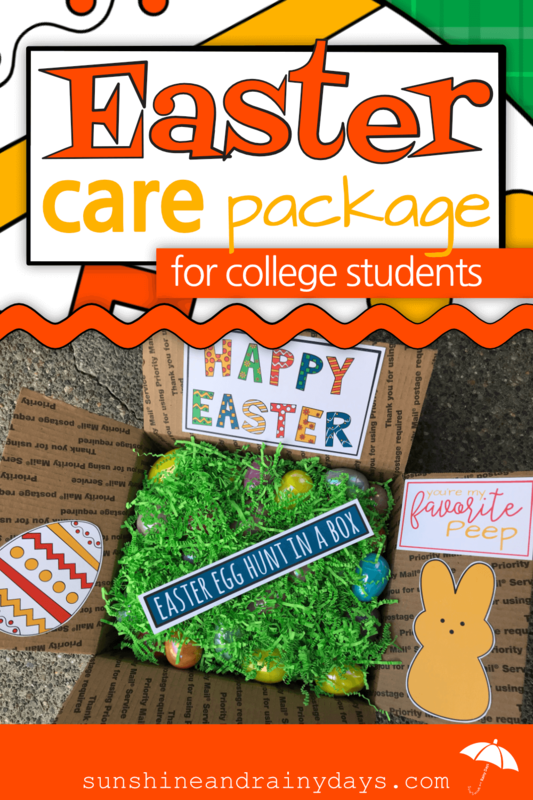 Whether your college student will be home for Easter or not, they will certainly be Hoppy to receive an Easter Care Package made especially for them! One way for me to cope having a child away at college is to create and send care packages! It allows me to do something special for her and, I’m thinking, she appreciates the effort too! For Easter, I decided to create an Easter Egg Hunt In A Box! I’ve always enjoyed creating Easter Egg Hunts for the kids and, just because she’s away at college, doesn’t mean she shouldn’t open a few eggs! 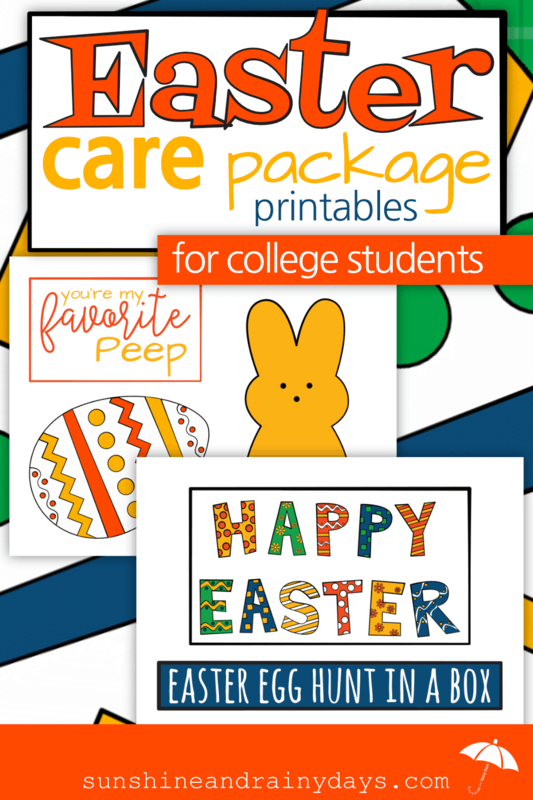 Print the Easter Care Package Printables on card stock – found below. Adhere the Box Decor to the inside flaps of your care package box using an adhesive applicator. We chose to create an Easter Egg Hunt In A Box! We also added some festive springtime items! Beach Ball – Encourage your college student to get outside on these nice Spring days! 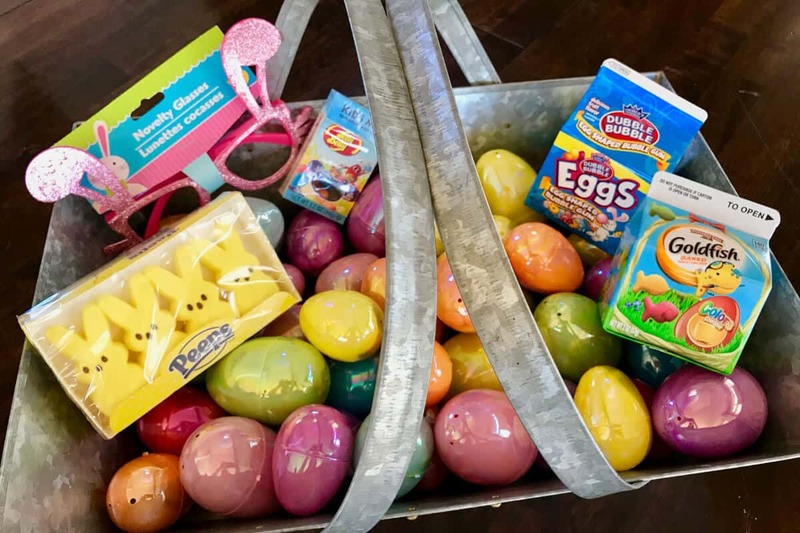 Bunny Glasses – We had these left in our Easter Storage Box from last year but you may be able to find them at the Dollar Tree! Plastic Eggs – I picked up the shiny ones from the Dollar Tree but, I gotta say, they were kind of hard to open. I may have even cracked a few trying to get them open. Candy – We chose candy that we know our daughter likes and will eat! You should do the same! Easter Grass – I like to use the shredded crinkle paper from the Dollar Tree! It is found in the gift bag section. Easter Trivia – Add a little egg-citing fun to your Easter Eggs with Easter Trivia designed to fit inside plastic Easter Eggs! 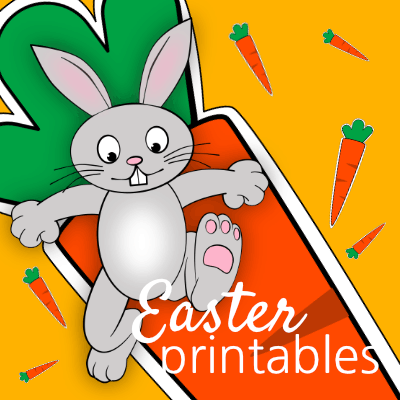 Inspirational And Punny Easter Messages – Add inspirational and punny Easter Messages to your Easter Eggs for an egg-stra festive Easter Egg Hunt In A Box!